Comes a time when you’ve had enough, when retribution is called for even if it harms you momentarily or permanently. Palmeiras have come to that point with Luis Felipe. As you will remember, the young right-back signed an extension of his agreement with Palmeiras in April of last year, then a typo was discovered which altered (shortening) the time span of his contract. When presented with a corrected version, the player refused to sign unless granted a 400% salary raise. Luis Felipe has then signed a pre-agreement with Benfica/POR, but is bound by contract to Palmeiras until March. Not only have Palmeiras decided not to field him, but he’s been separated from the rest of the squad, training in isolation. In addition, Palmeiras have now decided to take him to court. I whole heartedly support this initiative. Of course Luis Felipe could have been useful for Palmeiras, even though in transit, but his attitude is nothing short of a disgrace. Seeking advantages at any price? We’ll make it expensive, punk. In the meantime, the squad has seen the additions of offensive midfielder Marquinhos Gabriel and veteran centre-back Lúcio, now formally announced. Especially the arrival of Lúcio has been provoking quite the buzz, with media and everybody else curious to learn if he’ll redeem himself after the recent fiasco at SPFC. I think there’s a fair chance of that happening, but time will tell. Palmeiras have played two training matches against smaller, local teams: a 0-2 defeat against Red Bull and, today, 4-1 against União Barbarense. This week we also learnt that Palmeiras “only” purchased 67% of the economic rights of Leandro, corresponding to the two thirds that belonged to Grêmio. Thus, the price tag lands at roughly € 3.35 million. Better. But curious that we only came to know this several days after the deal was announced. And through the media. Not the ideal modus operandi. One would think Nobre and Co. had learnt a thing or two about communication with supporters after the disastrous Barcos experience. Think again. There are no news on Moreira and Bruno César. In both cases, there are expectations from the other side of the negotiation table(s) for Palmeiras to cough up more cash. Not much, but still. Nobre has already proven to be quite the tough and patient negotiator. He might throw small bones, but will not go out of his way to secure any of the two players. Expectations are still high we’ll see signings any of these days now. In the Sub-20 São Paulo Cup, Palmeiras yesterday were prematurely eliminated by Flamengo-SP, this after having only just advanced to the knockout phase. Certainly disappointing. Still, Kleina has observed the squad and seems inclined to give a few of the players opportunities in the A team, most notably left-back Mateus Muller, centre-back Gabriel Dias, midfielders Chistopher and Juninho, and forward Mateus Gonçalves. 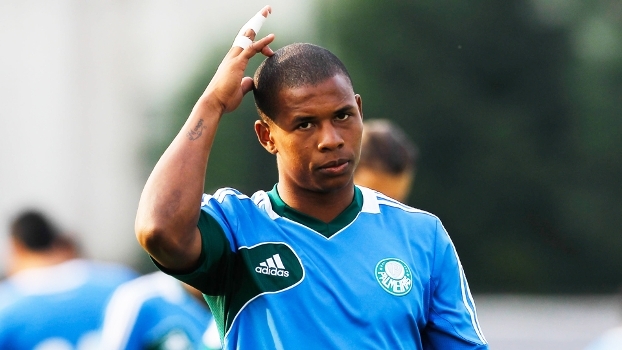 WTorre and Palmeiras seem closer to an agreement. In a recent meeting between the two parties’ lawyers – without mediators – WTorre allegedly admitted to the possibility of giving in to Palmeiras’ claims, at least partially. This is good news: having the case brought up before arbitration would be both stressful and time consuming. Fingers crossed. On 30 January, Palmeiras and Adidas present the new team jersey in grand style. There are rumours that a major sponsor will be announced simultaneously. I wouldn’t think so. If I were Adidas, I would want focus on the jersey, not the sponsor. One last piece of news, hot off the presses: Palmeiras have hired Arnaldo Hase, the man behind making Santos FC’s YouTube channel the most visited among Brazilian football clubs. Hase is also bringing two ex-Santos co-workers to Palmeiras. Not only will the team be responsible for online content, but also for the TV Palmeiras programme aired on cable TV ahead of matches. I whole heartedly support this kind of attitude, specially, because in recent years Palmeiras has been way too soft in Negociations and thus a many great deal part of the Market still sees us as being week and gulliable. It´s time to stand tough!! !